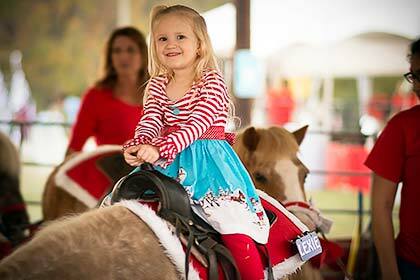 Enjoy all of the festivities Sights & Sounds of Christmas has to offer! Santa Claus will be making a special appearance nightly during both weeks of the Sights & Sounds of Christmas Festival! Please see the schedule below for details on his arrival destination each night. He will also be available for free photos at Santa’s River House in Plaza Park from 6:30-9:30 PM each night. 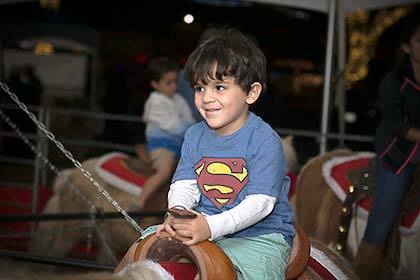 From bumper cars to the Ferris wheel, our carnival has something for everyone! Test your luck at one of the many games or get a rare view of the park from above on one of the soaring rides. Purchases can be made with Magic Money wristbands. The Carnival at Sights & Sounds is open nightly Wednesday-Saturday during the event. Rides range in price from $1-$7. 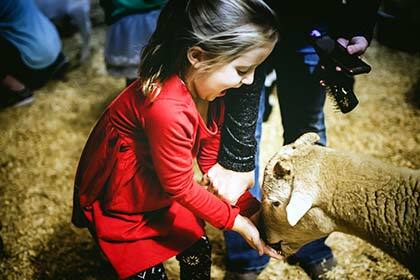 The McCoy’s petting zoo is back and continues to be free for all Sights & Sounds attendees! 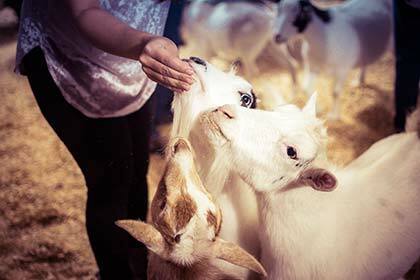 Enjoy this rare opportunity to get up close and personal with a variety of animals, including llamas, lambs, goats, bunnies and more. Admission to the petting zoo is free and feed will be available for purchase. Are you looking for unique holiday gifts? Santa’s Gift Shop has a variety of options with over 30 different vendors. With items such as decorated cookies, clothing, home decor and more, you are sure to find something for everyone on your list. Interested in participating as a Santa’s Gift Shop vendor? Please visit our Vendor Registration page . 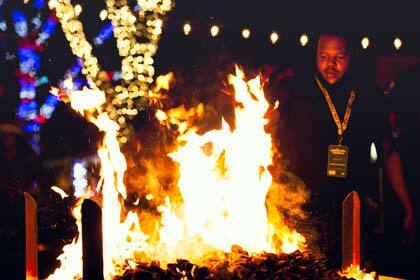 Take a journey back in time as you explore ancient traditions of old Bethlehem. 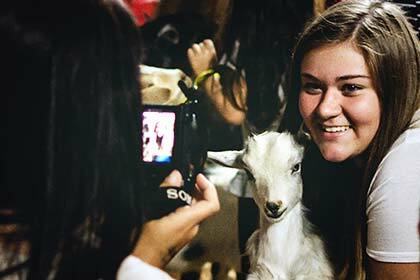 Experience live music, candle making and an opportunity to learn more about the history of Bethlehem. Feeling hungry? 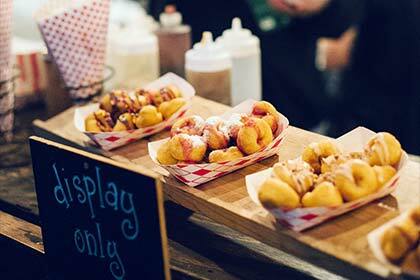 With over 25 different food vendors, there is a variety of options to satisfy your cravings during your visit to the festival. Whether you are looking for something savory or sweet, you’re sure to find a delicious treat on either side of the river. 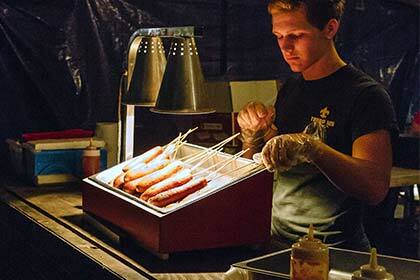 Interested in becoming a food vendor? Please visit our Vendor Registration page . 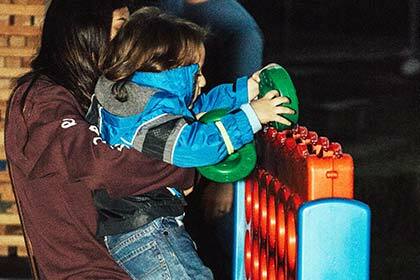 Participate in the Sights & Sounds of Christmas scavenger hunt for a chance to win a variety of prizes! The scavenger hunt will be taking place every night during week 2 (December 5th-8th). Check back for more details soon! 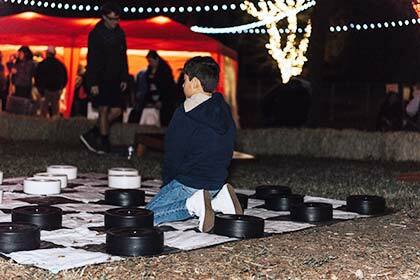 Kids and kids-at-heart can enjoy a game of life-size Jenga, Giant Connect 4, Tic-Tac-Toe and more at the Reindeer Games station! 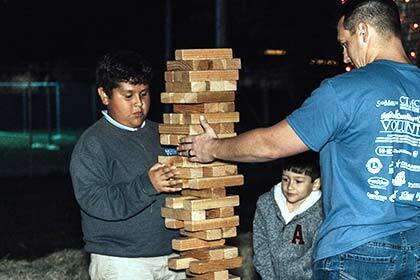 This free attraction is the perfect spot for those looking to take a break from the many other activities of the festival. Come enjoy an evening under thousands of color changing lights and family fun. Bring in the holiday season the right way! Ice skating with the whole family makes for perfect memories. It’s not every day that you get the chance to ice skate in Texas! 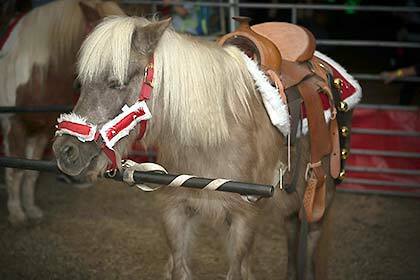 We’re bringing back the pony rides, so don’t forget to pack your hat and cowboy boots!